After successful runs in Glasgow and Edinburgh back in October, Scotland Loves Anime heads to Aberdeen this weekend with a more limited line-up, including the newer Penguin Highway and the classic Cyber City Oedo 808! 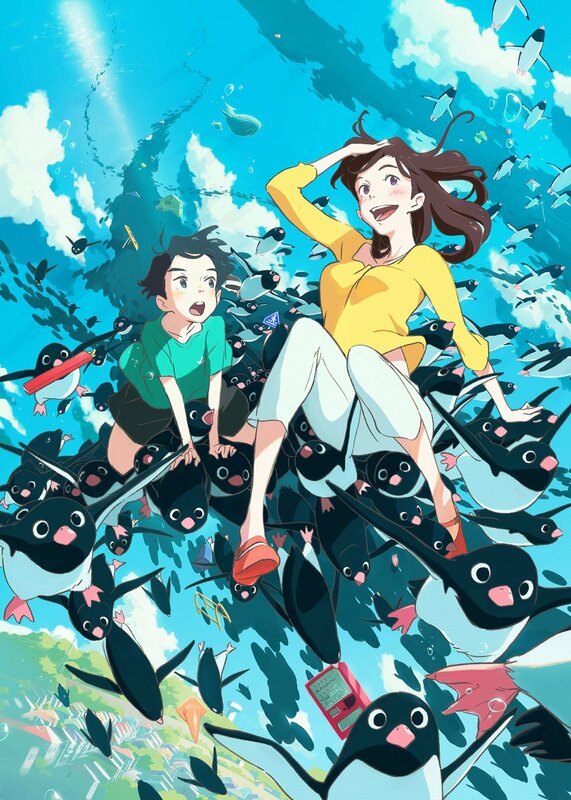 Penguin Highway (Saturday 8th December, 14:30). Fate/stay night – Heaven’s Feel 1: presage Flower (Sunday 9th December, 19:45). Tickets are available to purchase on the Scotland Loves Anime website. Aoyama is a serious 10 year-old boy who records all of his day-to-day experiences in his notebook. One day in May, penguins inexplicably appear in his home town, despite being located a long way from the sea. When Aoyama sees “Big Sis” – a young woman who works at a dentist’s office – drop a soft drink can which inexplicably turns into a penguin, he decides to investigate and resolve the mystery behind these strange events. Together with his classmates, Aoyama happens upon a strange phenomena which is surely the key to these goings-on. Will their investigation bear fruit, and just how is “Big Sis” linked to these occurrences? The anime smash hit that’s swept the world now makes its debut on the big screen! Our favorite young hero-in-training is in for a wild ride when villains threaten the artificial moving city, I-Island. Deku and All Might receive an invitation to I-Expo, the world’s leading exhibition of Quirk abilities and hero item innovations!Amid the excitement, sponsors, and pros from all over, Deku meets Melissa, a girl who is Quirkless just like he once was. Suddenly, I-Expo’s top-of-the-line security system gets hacked by villains, and a sinister plan is set in motion. It’s a serious threat to hero society, and one man holds the key to it all—the symbol of peace, All Might. Released in selected cinemas across the United Kingdom and Ireland tonight, you can read our review of My Hero Academia: Two Heroes here. 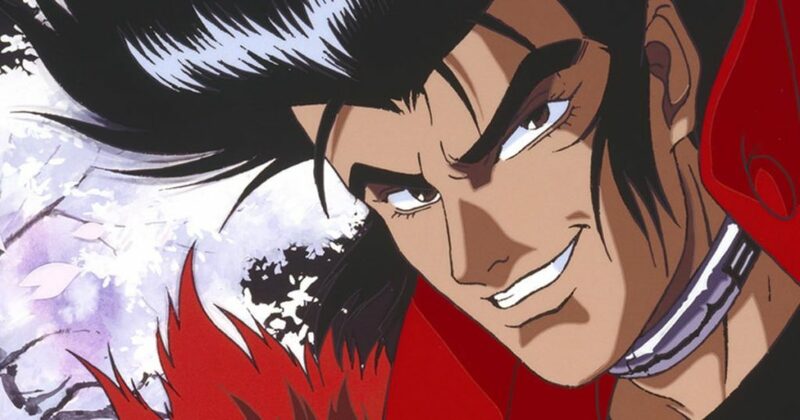 In the futuristic Japanese city of Oedo, the police have turned to an unlikely source to combat the alarming rise in computerised crime – violent criminals themselves! Sengoku, Gogol and Benten are put up to this task, with the promise of a reduction in their centuries-long prison sentences for each case they close. If they fail, then only death awaits them at the hands of the exploding collars placed around their necks. Ten years after the Holy Grail War—a battle waged by Masters and Servants over the wish-granting container, the Holy Grail—another war breaks out in Fuyuki City. Shirou Emiya—the adopted son of Kiritsugu Emiya, a participant of the previous Holy Grail War—resolves to fight, carrying out Kiritsugu’s dying wish. Witness a spectacular new path for the hugely popular Fate/stay night universe in this first instalment of Ufotable’s film trilogy. You can read our review of Fate/stay night – Heaven’s Feel 1: presage flower here. Aniplex titles Fate/Stay Night [Heaven’s Feel] and I Want To Eat Your Pancreas as well as Penguin Highway are among the bunch confirmed for this year’s festival over at Glasgow. Scotland Loves Anime have unveiled the selection and times for their Edinburgh leg, bringing films like Mirai, My Hero Academia, and the English-dub premiere of Maquia: When the Promised Flower Blooms! After My Hero Academia: Two Heroes, Deku and Class 1-A are set to return to the big screen once more, with a brand new anime feature film! Manga UK Bringing My Hero Academia: Two Heroes to Cinemas This December! The highly anticipated anime film “My Hero Academia: Two Heroes” is coming to UK cinemas, courtesy of Manga Entertainment UK!